Have you ever met the problem that even after when you finish the shipments of products, the order statuses fail to automatically turn from “processing” to “complete”? If you are finding an extension to set the status of orders in your Magento Store, Magento Auto Invoice by BSSCommerce is your optical choice. Magento Auto Invoice extension by BSSCommerce simplifies order status management which not only reduces significant manual tasks for admins but also meets customers’ need. Customers always want the place order as fast as possible and at once. With Auto Invoice, when orders are finished, all status of which will be automatically changed into “Complete” and invoices will accordingly be created. As a result, BSS Auto Invoice will put an end of overload of manually creating an invoice too much for Magento Store Owners. 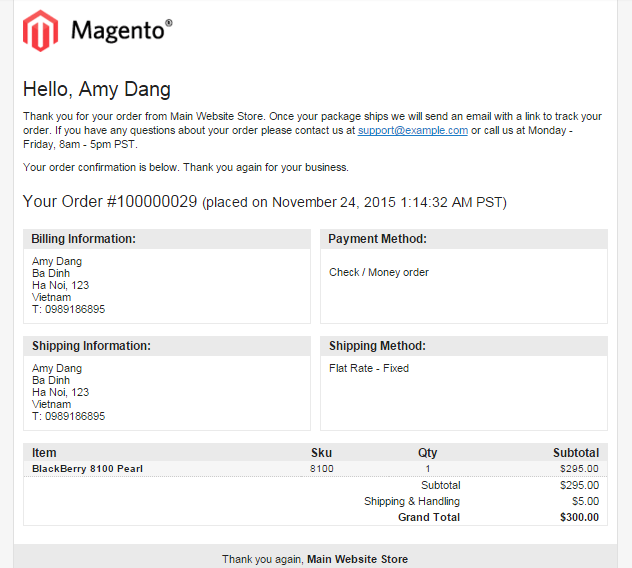 Why Magento Auto Invoice Extension is your must-have extension? When they make orders and already finish their payments on an e-Commerce website, they definitely want to ensure their payment is recognized and their orders are accomplished. They undeniably look forward your invoices come to their email. Our Auto Invoice Extension not only finishes customers’ orders, change statuses but also send invoice e-mail to your customers automatically. In such a way, their trust on your ecommerce services is promoted. Having your Magento store automatically shipping orders can be a great help and can make your workflow smooth. It automatically creates invoices and completes orders and changes the status of orders, which significantly reduces time manually processing. Automatically generate invoices and shipments based on all available methods of payment. Instead of manually dealing with each invoice, this extension allows you to work with each group of invoice payment methods. You will find it easier to take one-step and complete invoices depending on different payment methods. The clear and neatly configuration of the extension enables webmasters to choose actions for automatic invoice process. As a huge open source eCommerce web application, Magento carries out a possibly every function that can be carried out on an ecommerce website. Auto Invoice is designed using similar structure that Magento follows in the core of system and the coding standard that Magento support. Therefore, it works very well with all Magento platform and well-compatible with other extensions. You will be persuaded when using this extension since it features a convenient Magento payment process. One more outstanding feature was to change order status automatically after generating invoices. With conviction, BSS Auto Invoice Extension is certainly useful extension. THis extension working only cash on delivery. Not working with paypal express checkout and strip. Well, your product make me totally satisfied. It is easy to set up and have direct effectiveness. Thanks for providing it free! I believe that your paid product is even much more effective than that. I'm very glad to find out BSS Auto Invoice. It's a great extension especially when it doesn’t cost you. I really appreciate BSS customer support. When order just completed, they contact us immediately for offering free installation and ask us whether it has problem or conflict or not. Everything went on well with their help. Thanks BSS! "Simple but very essential extension for my store. BSS Group has the best support ever! 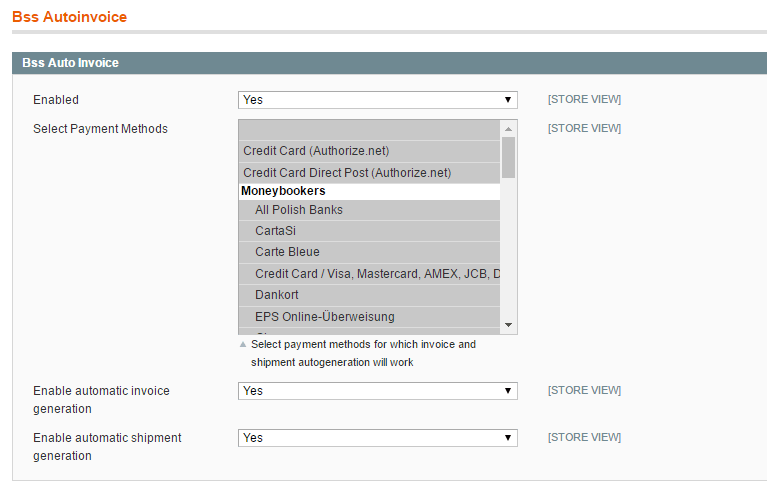 The rich set of features, the price, the demo version and the support helped us to choose BSS Auto Invoice extension. It works great as describes and for a free product, it really worth having a try! It does exactly what it has to do. Only using the option on a single payment method. Works great and the shipment is also automatically generated. Auto invoice extension provides user-friendly interface and I'm happy with BSS customer service. So nice of care and support! This extension is really useful, wich effectively save time for the purchase process. Free Price but Really Supportive attitude for the company. Incredible! Your module works perfect, thanks for your support. I tested your module with Magento 1.9.0 and worked well.